Lock in a great price for La Vieille Bergerie – rated 9.5 by recent guests! Roselyne, our hostess, was very friendly and had a lot of attention to details. The room was full of little amenities and treats. Breakfast was homemade and delicious. The property was extremely well tended and lovely. The bed was very comfortable. Storybook worthy! The setting is beautiful. Our weather was a bit chilly so full enjoyment of the outside grounds was not possible. Can't say enough good things about our stay and accommodations! Outstanding attention to detail and Roselyn is warm, friendly and helpful. Wonderful handmade fresh breakfast. The croissants were to die for. Would love to return! This was the cutest, most authentic, and comfortable accommodation I have stayed at! I loved the attention to details Roselyne, the owner, put into the place. It is extremely charming and she gave us great recommendations of restaurants and places to visit. Will definitely be back and recommend to anyone! Charming b&b. One of the nicest we have ever stayed at. The breakfast was amazing and the setting was the same. Words fail to describe how amazing that place is. It felt like a paradise on Earth. Everything one could dream of and more: the most adorable host who treats you like her family member, her sweet lovely dogs that just make your heart melt, highest possible standards of the room with great attention to a detail, the most amazing breakfast, beautiful location, proximity to the mountains and the village. Thats the place where your soul rests, where you feel happy and peaceful and at home I will definitely come back! Our accommodation was lovely, well appointed, and in a beautiful setting. Roselyne is a wonderful hostess and made some great recommendations. . We had breakfast outside in the midst of olive trees. There is a very convenient Park and Ride nearby. Very quiet up there on the hill. 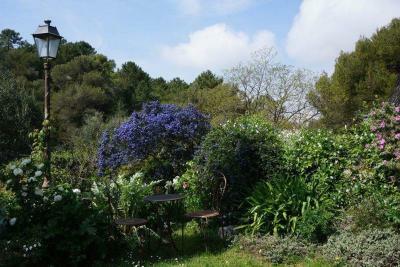 This property is peaceful and tranquil, with a lovely host and her two adorable dogs - we loved staying here. La Vieille Bergerie is a gem. The room was spotlessly clean, comfortable, spacious, nicely furnished and with obvious attention to detail. Breakfast was great, fresh produce every morning and beautifully presented outside under the olive tree in a most pretty and typically Provence setting. Roselyn, the owner, was extremely obliging with nothing too much trouble. We stayed 6 nights and Roselyn advised and reserved tables at restaurants for us on every occasion. We really felt well cared for and this particularly made our stay even more enjoyable. We shall be returning to La Vieille Bergerie. 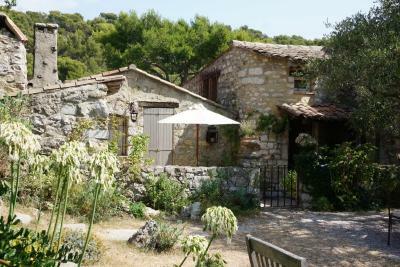 This 19th-century former barn is located in Cote d'Azur, close to the medieval village of Eze. It is 6 miles from the Mediterranean Sea, Nice and Monaco. It offers free Wi-Fi. 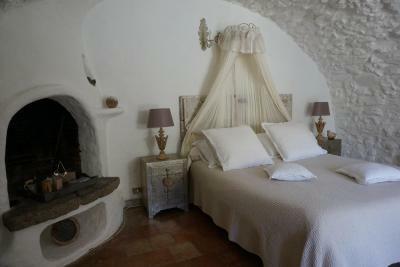 The rooms at the La Vieille Bergerie have a traditional Provencal décor and antique furnishing. 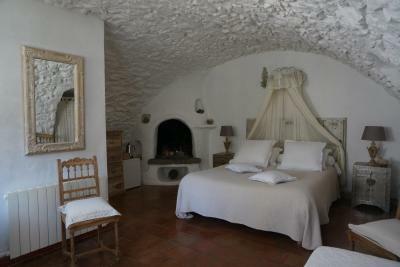 They are equipped with a fireplace, a flat-screen TV and each has panoramic views of the surrounding countryside. An aperitif is served every night in La Vieille Bergerie's cozy dining area or, during warmer weather, on the terrace under the shade of the olive trees. It has a 24-hour front desk, and a children’s playground in the beautiful garden. Free private parking is provided and the hotel has close access to highway A8. 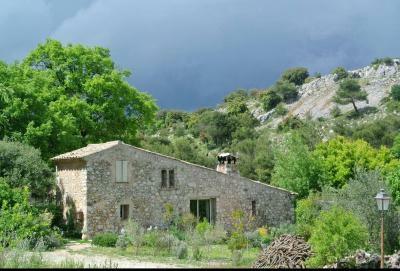 La Vieille Bergerie is situated at the entrance of the Revere Forest, where guests can enjoy hiking. 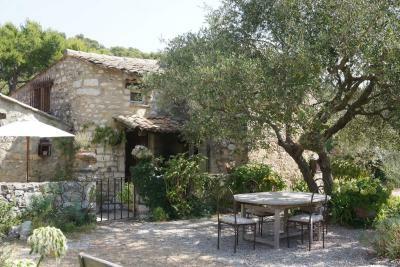 When would you like to stay at La Vieille Bergerie? House Rules La Vieille Bergerie takes special requests – add in the next step! Please note that if you are coming by bus, the owner can pick you up and drop you off at the bus station for a supplement of EUR 10 for the return trip. Please note that if you are coming by train, the owner can pick you up and drop you off at the train station for a supplement of EUR 30 for the return trip. Everything is perfect !! I love it so much! The shower is very small, but functions well for this cute cottage style old stone building. We found nothing to dislike. Roselyne is an amazing host. The delicious breakfast under the olive tree is unforgettable. The breakfast was amazing, homemade yoghurt, great croissants, nice tea and hot chocolate. Rosalynde is a great host and was very helpful in booking dinner for us at a great local restaurant. She was also very helpful at recommendations of places to go in Nice and the surrounding villages. 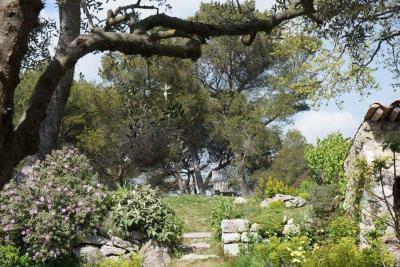 It was very easy to get from this location to Nice, Monaco, Eze and to villages such as Peillon. The room was cosy and the bed comfortable. I would recommend this place! Rosalyne was a great host. She gave us good advice on restaurants and on interesting places to visit and made all effort to meet our needs. 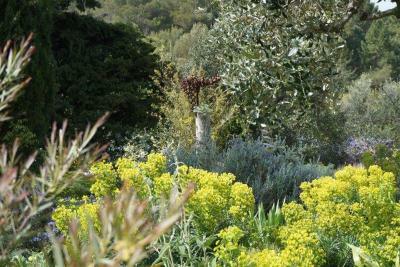 This bed & breakfast is surrounded by nature in a quiet place on the mountain slopes above Eze. Far enough from the noise of very popular tourist attraction of Eze, but close enough to be in a restaurant after a few minute drive. The room is large in a separate part of the house. The room as well as the place where you eat breakfast are decorated in a good style. You can rest in a garden or walk around. Altogether, we were very happy to choose La Vieille Bergerie. We had an amazing time and Roselyne was the perfect host. Would definitely recommend this beautiful B&B to anyone travelling in and around Eze. What is not to love, what a gem of a place, cannot wait to return. The hostess is warm and welcoming, baking all the pastries herself for breakfast. The room is so romantic and beautiful, plenty of good coffee and tea sachets in the room. Such a tranquil treat!